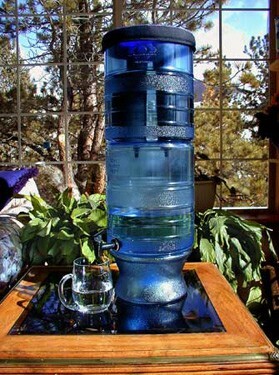 The Berkey Light water purifier is a lightweight and more portable alternative to the stainless steel systems. It’s perfect for a large family or even a sizeable group. 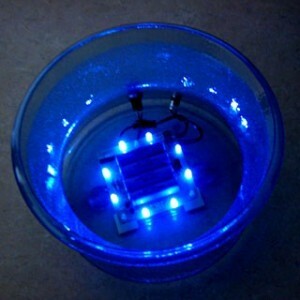 Choose Your Favorite Base Below and Add Purification Elements for Improved Flow and Capacity.It comes supplied with (2) Purification Elements but can accommodate up to (4) Purification Elements at a time. You may add additional Purification Elements in the drop-down box below. 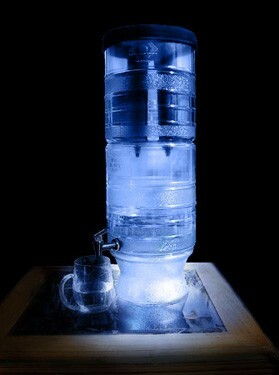 So…Why is it Called the Berkey “Light”? The answer is simple…you can purchase the Berkey Light with a Lighted Base and the whole unit is made of very light-weight “Non-BPA Co-Polyester.” It’s very similar to the popular water cooler bottles you might see at the office. At night the system looks like this…and it’s Made In America Baby! 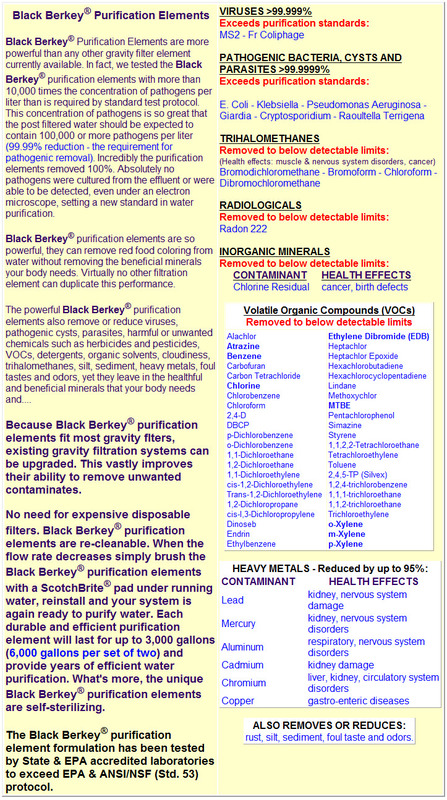 The Berkey Light is a great water purifier and uses the same Black Berkey Purification Elements as the Stainless Steel Water Purifiers. Being so light weight is nice because it makes the system very easy to transport for picnics and camping trips. The Berkey Light systems are also very dent and ding resistant…the stainless steel systems are a bit more prone to getting dents and dings. We own both a Crown Berkey and a Berkey Light. We use our Berkey Light more than our Crown, but consider both water purifier systems to be great emergency preparedness supplies. 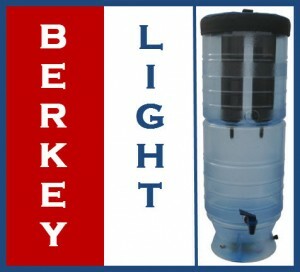 One of the special qualities of the Berkey Lights is that they are made of a resilient “Co-Polyester” that deflects blows and doesn’t leech any “BPA’s” into your water. BPA’s have been linked to cancer so we are glad they are BPA-Free. Buying a Berkey Light Water Purification Systems is as easy as clicking the “Add to Shopping Cart” button and entering your payment details. 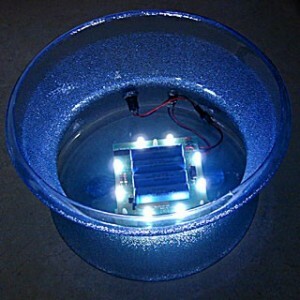 These systems are a bit cheaper than their stainless steel cousins and always available.